For applications that require more than the basic deadbolt or knob lock, AJ’s Locksmiths Sydney CBD recommends high-security locks. These locks are designed to provide the utmost in protection against compromise and generally feature complex mechanisms that offer increased resistance against breakage and manipulation. It is important that you look for high-security locks that have an acceptable security rating or that are highly recommended by experts in the field. This will ensure that the lock you choose is legitimately high-security and not just a product is being advertised as such without having the characteristics and performance to back it up. Of course, there is no lock they can be legitimately referred to as undefeatable. It is simply impossible to create a lock that could deflect all efforts to access a room, building or space. The purpose of high-security locks, however, is to make the attempts to compromise these locks so time-consuming, difficult, and expensive that it is simply not worth it to a potential invader. 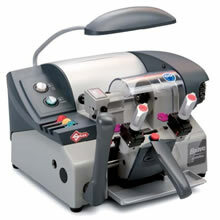 Key control that restricts the number of duplicates of keys they can be created and require that a special identification card be presented in order for the keys to be duplicated on a highly specialized cutting machine. Restrictive keyways that are too complex to pick or bump because of the inability to insert tools effectively. Resistance to manipulation in the form of decoding or traditional lock picking. Resistance to destructive forces is accomplished through creating materials at of steel and other hardened materials that deflect even tremendous force. 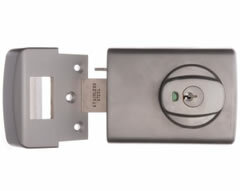 High security locks are appropriate in situations that require highly controlled access and protection. Such applications can include jewelry stores, vaults, areas that store valuables, or extremely elaborate and expensive homes. It is important to choose the locking mechanisms to provide an adequate level of protection for your situation and that you understand how to utilize them appropriately. Consult with a professional to choose the locks that are right for you and learn how to use them consistently and correctly.